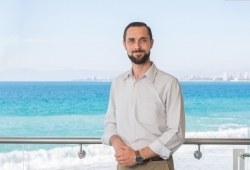 Manhattan, NY, February 26, 2019 --(PR.com)-- Villa Premiere Boutique Hotel & Romantic Getaway in Puerto Vallarta welcomes Mr. Arthur Viot as General Manager for the property. Mr. Viot will reinforce existing efforts to elevate the already high quality of service and overall guest experience at the property, continuing an intense promotional campaign emphasizing not only service but wellness and gastronomy via its All-Inclusive “Exquisite” Gourmet Plan. Mr. Viot boasts vast experience, with more than 20 years in the hospitality and tourism industry. He possesses a bachelor’s degree in hospitality industry administration from the Institute Paul Bocuse in Lyon, France and began his career in 1998 in the French food and beverage sector, specializing as a sommelier. He thereafter relocated to Rio de Janeiro, Brazil, where he started his specialization in Food and Beverage. Mr. Viot claims that was his greatest professional experience, in which he both learned a lot and successfully overcame a language barrier. Mr. Viot moved to Mexico in 2008, working in different regions - from the Pacific coast to Mexico City and then northern Mexico, in Monterrey - and different types of hotels, directing food and beverage departments at beach resorts and business hotels. His most recent position was General Manager at Hotel Habita in Monterrey, formerly, he worked at Live Aqua & Grand Fiesta Americana Monterrey Valle of Grupo Posadas as Food & Beverage Director in Nuevo Leon, Mexico. He returns to the country’s Pacific coast, in sunny Puerto Vallarta, in his new position as General Manager at Villa Premiere Boutique Hotel & Romantic Getaway. Villa Premiere Boutique Hotel & Romantic Getaway is a beachfront property located in the heart of Puerto Vallarta, a few blocks from the Malecon waterfront and the historic city center. This all-inclusive, adults-only luxury resort is an oasis for couples or solo travelers looking for a relaxed and intimate getaway. From the moment guests arrive, Villa Premiere offers a sensory experience of aromas, spectacular sea views, modern and contemporary décor and a superb personalized service. Staff welcome guests with a refreshing sparkling wine, followed by a selection of scents and a pillow menu to ensure a personalized room experience. A five-minute welcome massage precedes the arrival of guests in amazing ocean-view suites. The property was recognized as an AAA Four Diamond property for the 12th year in a row, following a raft of recent accolades received by the property, including Expedia’s VIP Access 2018, Golden Apple Award 2018 and Trip Advisor Excellence in Service 2019 - Trip Advisor has sifted through literally millions of reviews from travelers around the world to identify user favorites and name the 2019 Travelers’ Choice winners. The beachfront property recently invested $3.8 million renovating the complex, which features 80 deluxe rooms and suites as well as breathtaking views and an amazing culinary experience. A participant in Puerto Vallarta’s Gourmet Festival & Vallarta Nayarit Gastronomica, Villa Premiere is a symbol in gastronomy, proud of the service and quality of its three a la carte restaurants. For more information, visit www.premiereonline.com.mx.